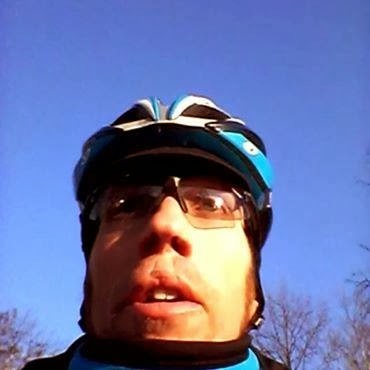 The Ramblings of an Endurance Junkie: Jan 18th - 24th: Training Ramblings......In Between! Jan 18th - 24th: Training Ramblings......In Between! Using the Computrainer at Parvilla Cycle & Multisport is sooooooo gooooood for targeted training. Being able to set your workouts up at specific power levels enables you to just focus on riding and hitting the numbers. On Thursday for example I wanted to crank out some VO2 intervals, so I created the workout set at 106-120% of FTP for varying durations (3-8mins) and boom you go ahead and ride without being able to cheat yourself. I also got some decent runs done and a couple of swims, nothing too wild but it blew the chlorine cob webs away.....the runs were all just steady base miles and taking advantage of being able to run in the daylight outside. With the new job that may not happen that often. The new job starts next week on the 27th, so that means a daily commute into D.C......and certainly less training time!